Frugal living ideas start with those things that are free. You can't get cheaper than free and this is very important for frugal retirement living. 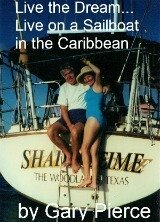 We first started using the library on a regular basis when we lived on the boat. We would send and read email, check out books, and read magazines, etc. Using the library is even more important to the stateside frugal retirement living lifestyle. We frequently use our library in Arizona. Why spend money on magazine subscriptions when you can read them free at the library? Why pay to rent DVDs? You have a choice, go to the rental store and pay or go to the library and rent them for free. Every little bit helps you to save money for the more important items. Always think free first...whenever possible. What is cheaper than something that is free...or already paid for by your taxes. Here is one frugal living idea you can use...we will do most anything to prevent spending money on motels. For instance from our retirement home in Arizona...we can drive 12 hours and be in Sacramento to visit relatives. We pack food to eat along the way...we never stop for fast food. A book tape will make the miles float away. Total cost...zero...can you dig free? OK...maybe not totally free...the checkout time is usually 14 days. If you are gone longer than 14 days you do have to mail them back...so you pay a few bucks for postage...still a bargain. Why buy books when you can check them out for free? I have dear friends who buy bestseller books like crazy. They enjoy books and can afford to buy them. Probably don't know where the library is located. To me not spending money on things I can get free is as natural as breathing...you can do this as well. I frequent those well-known bookstores. I never buy anything but I enjoy reading books and magazines in big comfortable chairs. My wife , who enjoys shopping much more than I, will drop me off at a bookstore while she shops. We are both happy. She calls bookstores her day care for yours truly. I am good for an hour or so. Cost free...thank you bookstores. I over heard a cell phone conversation that points out people do not take advantage of free services. A woman was ,in a somewhat distraught manner, saying "Things are tough, we will make it, but we had to cut out movie channels on cable, and rent DVDs at the library. We also use the internet here where it is free." I am not being judgemental, her pain was real, but I think of the money she could be saving by making the library part of her families life instead of being a bad times refuge. Frugal living ideas start with free services and things. You cannot get cheaper than free. Please take advantage of all things that are free first.